Building trades unions and some supporters of Mayor Libby Schaaf and ex-Mayor Jean Quan are hoping to oust Brooks, but the councilmember’s backers say the PACs are misrepresenting her record. Desley Brooks declined to comment for this report. Oakland City Councilmember Desley Brooks already faces four formidable opponents who are running as a slate against her in this year’s election, but now, two recently established independent expenditure committees are also taking aim at the 16-year incumbent with the goal of unseating her. One of the committees, called “Oaklanders for Responsible Leadership, Opposing Desley Brooks for Oakland City Council 2018,” was formed in August by Maxwell Park resident Jose Dorado. Dorado runs a tax preparation business in Fruitvale and is well-known in Oakland’s political circles. As of Oct. 1, the PAC reported $50,170 in contributions. A recently filed disclosure form shows it has already spent $10,245 on canvassing around the district. Dorado was appointed to Oakland’s police commission by the city’s citizen selection panel, and he has served as the chair of the Maxwell Park Neighborhood Crime Prevention Council since 1996. A District 6 resident, Dorado also ran against Brooks for council in 2010. So far, the sources of the PAC’s funding are three building trades unions and several donors to Oakland Mayor Libby Schaaf and ex-Mayor Jean Quan, who both endorsed one of Brooks’ opponents, Loren Taylor, for the District 6 seat. Over the years, both Schaaf and Quan have clashed often with Brooks. Quan backed Dorado’s bid against Brooks eight years ago. The International Brotherhood of Electrical Workers Local 595 and the Sheet Metal Workers Union No. 104 both provided $10,000 while the Sprinklerfitters Union Local 483 gave $7,500. The unions are all supporting another of Brooks’ challengers, Natasha Middleton. Andreas Cluver, secretary-treasurer of the Building and Construction Trades Council of Alameda County, which represents 29 unions involved in the construction industry, including the Sprinklerfitters and Sheet Metal Workers, said unions supported Brooks when she ran in 2010 but now oppose her because of her votes against construction union initiatives over the years. In 2014, the building trades unions took a neutral position when Shereda Nosakare, an aide to Oakland Mayor Libby Schaaf, ran against Brooks. Brooks declined to comment for this report, but her supporters say unions are misrepresenting her record, which has focused on helping Black Oaklanders get good jobs. Geoffrey Pete, a well-known businessman and ally of Brooks, argued that unions are looking out for the interest of their members, many of whom are suburban workers, and not Oakland residents. However, according to Paul Cobb, publisher of the Oakland Post, which has endorsed Brooks this year, the unions have failed to employ enough Black Oaklanders. “She wants to see Oakland residents hired, more Black people hired in the construction trade, and more equity in cannabis,” Cobb said of Brooks. Brooks has often pushed for greater racial equity across a range of city policies. The city’s department of race and equity, which recently published a report revealing stark inequalities affecting Black residents, was established by legislation that Brooks authored. Her cannabis equity policies have also been credited with leveling the industry playing field, although many complain they’ve also bogged down Oakland’s existing companies and pushed some to relocate or back into the underground market. Still, Cobb believes the source of tension between the unions and Brooks boils down to what he alleges is the unions’ unwillingness to open up more job training and memberships to Black residents. In addition to the building trades unions, a handful of individual donors are also funding the anti-Brooks PAC run by Dorado. Kenneth and Lisa Schmier provided Dorado’s committee with a combined $9,980. The Schmiers own a large industrial warehouse business with properties in Emeryville and Oakland and live in Marin County, according to public records. According to city of Emeryville records, one of their properties is the proposed location of a cannabis retail shop. The couple and employees of their company have contributed $5,680 to Schaaf’s campaign and officeholder committees since 2013. They also contributed Nosakhare’s 2014 campaign against Brooks. Other contributors to the PAC run by Dorado include Eugene Zahas, the owner of Johnstone Supply in Oakland, Jennifer Pahlka, the CEO of Code for America, and environmental attorney David Roe. Roe is also a board member of Great Oakland Public Schools, an education policy nonprofit that supports charter schools. Zahas and Roe are both longtime supporters of Schaaf and have contributed thousands to the mayor’s campaigns. Zahas is also a longtime backer of Quan. According to public records, none of these individual contributors to the anti-Brooks PAC lives in District 6. Pahlka said she contributed to the anti-Brooks PAC because she feels that the “city council isn’t functioning as it needs to on behalf of all Oaklanders.” Brooks has been under increasing fire since the city had to pay a $2.2 million legal settlement earlier this year after a jury concluded that she assaulted ex-Black Panther Elaine Brown. 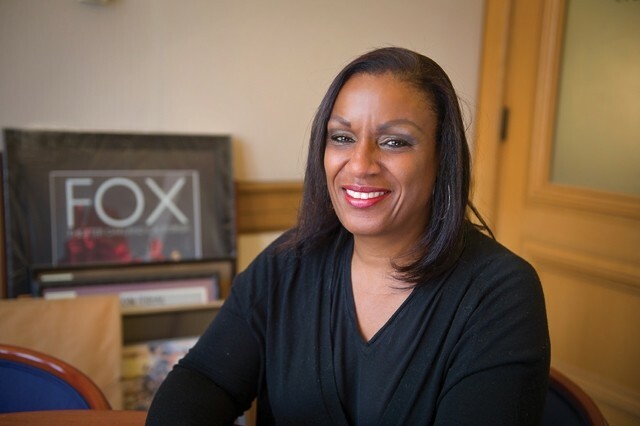 The second independent expenditure committee, named “Citizens for a United Oakland, Opposing Desley Brooks for City Council,” was established last week by attorney Harold Smith. It has yet to receive any contributions, but Smith told the Express the purpose is to educate Oakland voters about how to utilize ranked choice voting a way that increases the likelihood that the incumbent, Brooks, will lose. “An incumbent with name recognition has huge advantage if they can be voted in a top spot,” said Smith. Under Oakland’s ranked choice system, the top vote-getter in the first round of ballot counting doesn’t always win because it often comes down to who voters pick as their second and third choices. Four years ago, Smith ran a similar PAC to influence the mayor’s race. Called simply “Citizens for Oakland,” it raised $68,250 and paid for mailers that supported Joe Tuman, Bryan Parker, and Schaaf, and opposed Rebecca Kaplan and Quan. It’s major contributors included mostly attorneys, private equity investors, and real estate developers who were backing Tuman. Pete criticized both PACs, saying the represent outside money trying to influence voters. But he worries whether the average voter will know who is really paying for the campaign materials and what their goals are. “I don’t know if the electorate has the time to stay abreast of those kinds of things,” he said. Correction: Cypress Mandela Training Center is located on 66th Avenue, not in West Oakland, as this story originally stated.